When a black teenage girl witnesses her black friend unlawfully shot to death by a police officer, she is forced to confront complicated, adult issues of identity, violence, and racism in her hometown. This film is based on a young adult novel of the same title written by Angie Thomas and published in 2017. The novel also spent time as a #1 New York Times Bestseller. I feel like African-American cinema is having a mini-renaissance in the latter half of this year with fresh, original films like Sorry to Bother You, Blindspotting, and BlacKkKlansman each exploring parts of the contemporary Black experience in this country. 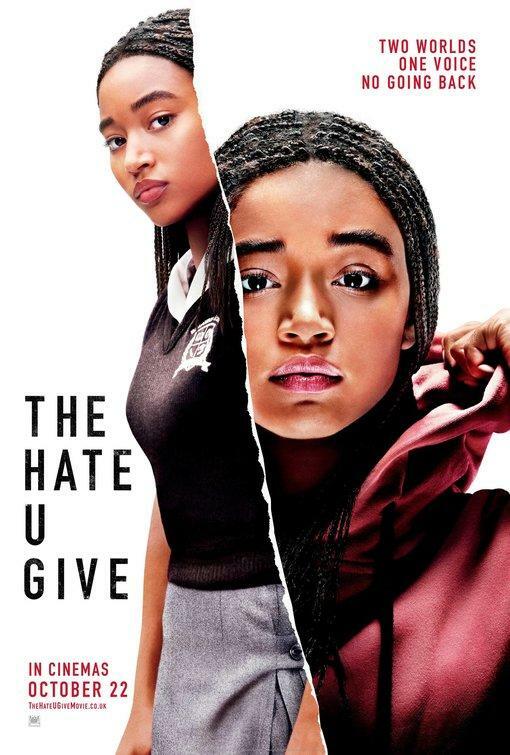 The Hate U Give is another part of this mini-renaissance as it shows the influences of police brutality, political activism, and family solidarity on the next generation of youths.